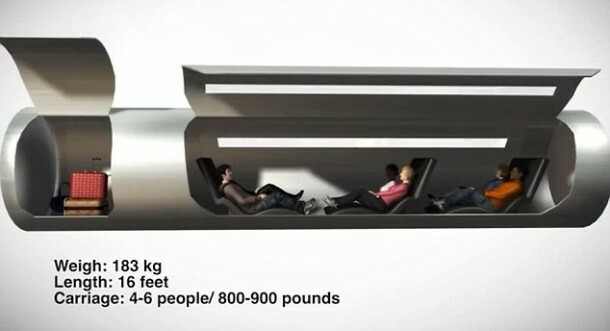 We all remember the amazing idea that Elon Musk put forward about a transport system where capsules containing passengers will be shot in a tube at the speed of sound. 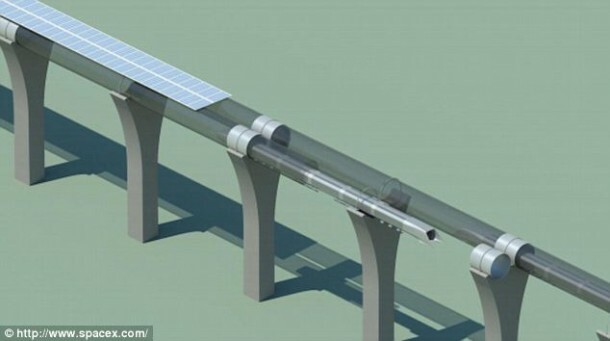 Elon Musk claims that his solar-powered ‘Hyperloop’ could bring forth a revolution in travel and as fate would have it, his plans are beginning to materialize. 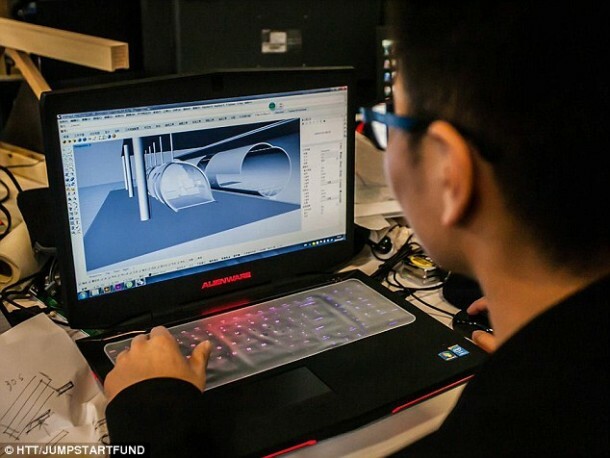 Enter the new firm, Hyperloop Transportation Technologies that is busy working on plans to convert the idea into a reality. It has already hired experts from all over the world. The firm is crowdsourced and has about 100 engineers on the project with most of them working at Boeing, NASA, Yahoo, SpaceX, Airbus and Salesforce during day hours. The CEO Dirk Ahlborn said that it was the perfect approach to developing plans. He made use of the site JumpStartFund to crowdsource the idea. He then contacted SpaceX and the work started. The team has 25 UCLS graduate architecture students working at a facility in Playa Vista while most of the members work remotely. Ahlborn is hopeful that he will have a feasibility pertaining to technicalities ready by mid of 2015. The team has already made quite a progress when it comes to capsule, stations and route. So what do you think? 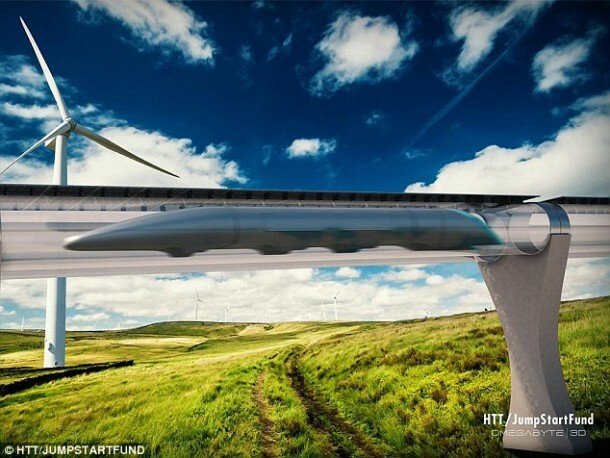 Do you see this Hyperloop becoming a reality or not? Several problems need solving the first being the solar powered claim. It won’t have any wind powered turbines working unless the wind is blowing. We are unable to store any energy in the grid system at all. 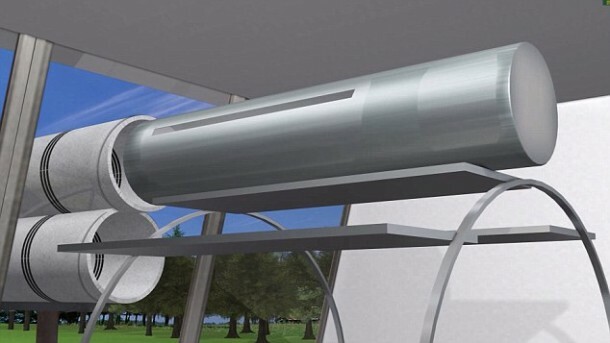 Extracted wind power could be stored as potential energy as hydraulic water pressure (Armstrong’s accumulators). Lower or higher pressures might be achieved with mechanical wind powered fans rather than electricity. How do we maintain a low pressure in a pipe with a piston carrying passengers compressing the air before it? I understand the concept of pulling air past the piston creating a vacuum and the high pressure behind pushing it forward. 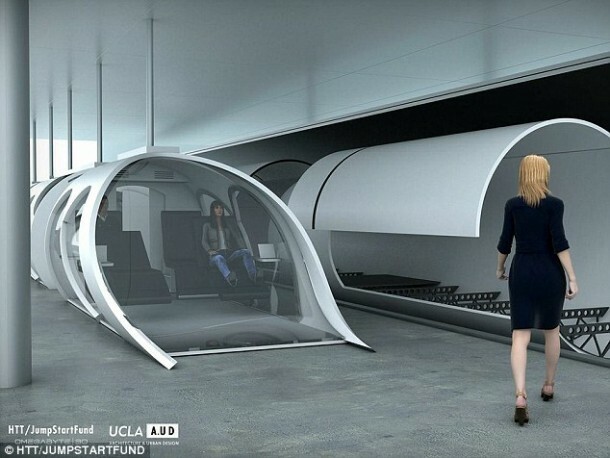 A 50 mile tube would hold a great deal of air to move before any progress started. Is it better to create a vacuum in front, or a pressure behind? Plus or minus five pounds per square inch would be more than enough in my guesstimate, but thats a lot of air in the tube. 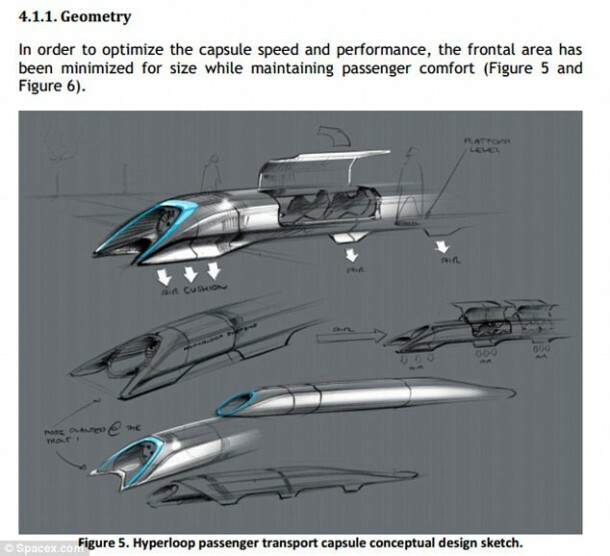 Would it be more economical with greater numbers of passengers in a large train, or smaller cars? We still need to move as much air and I see a bearing supported device rather than a levitated one as being better. Braking might be by compressing air as energy recovery for reuse. I see a push pull system with both pressure and vacuum containers storing power in large pressure vessels.